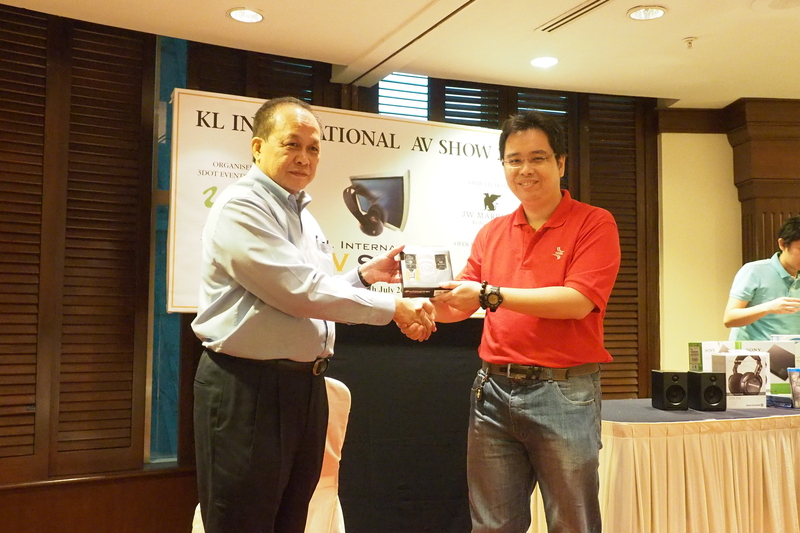 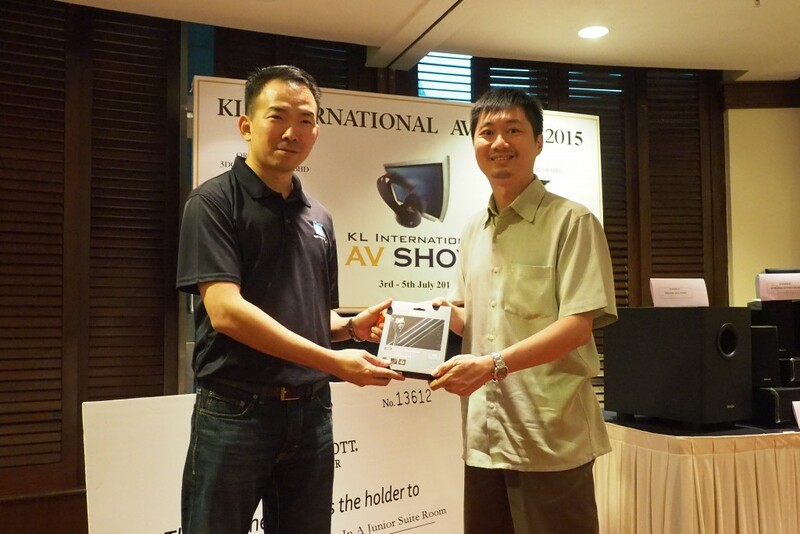 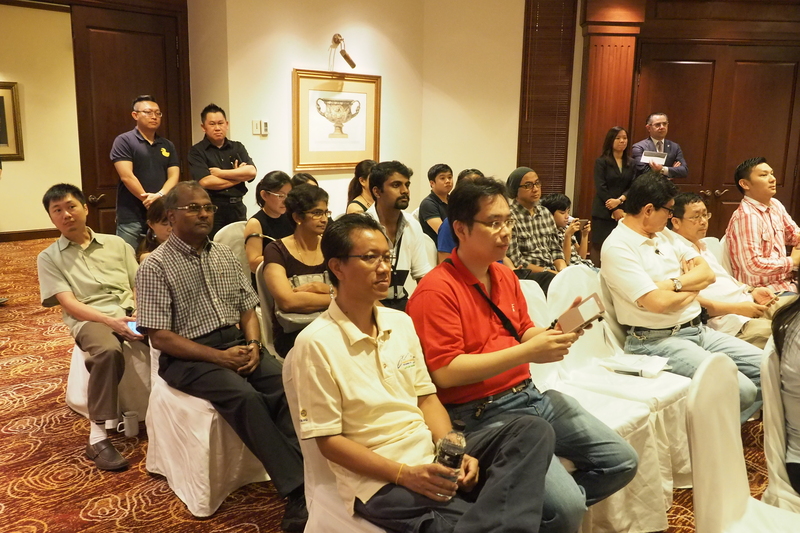 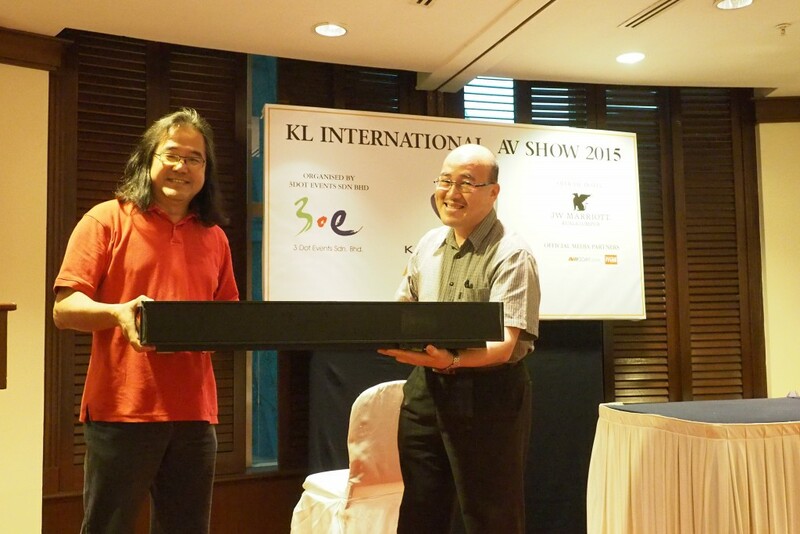 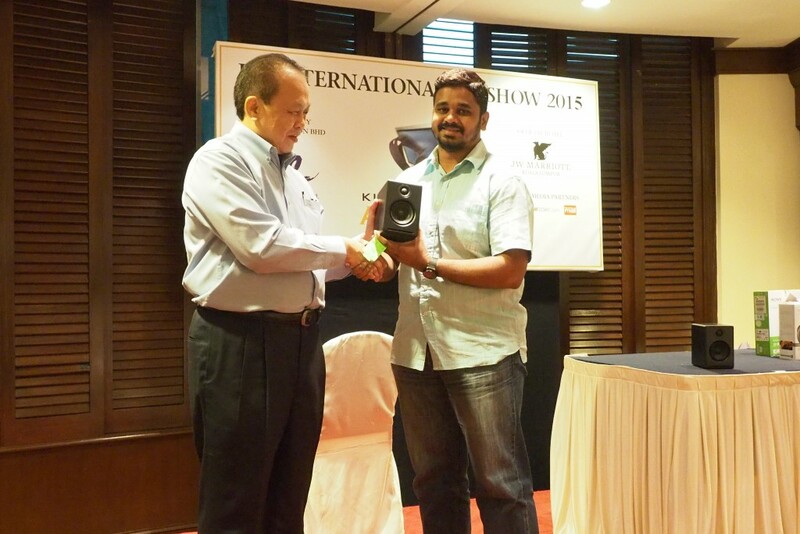 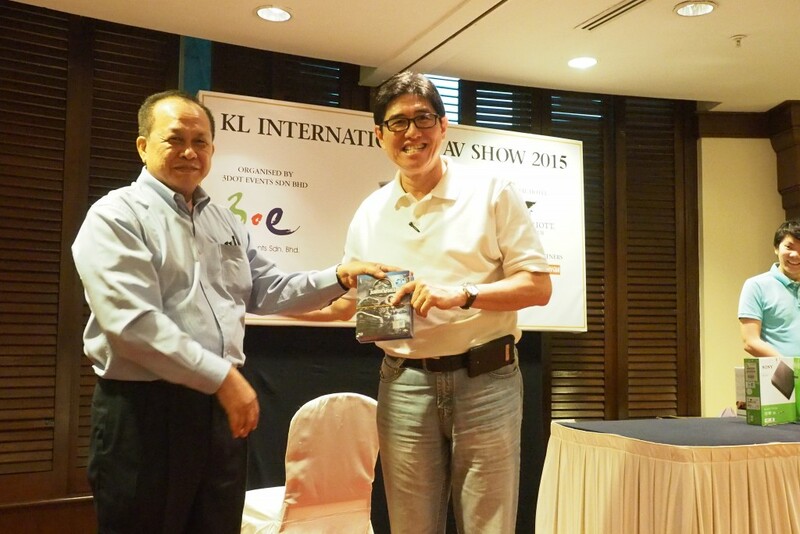 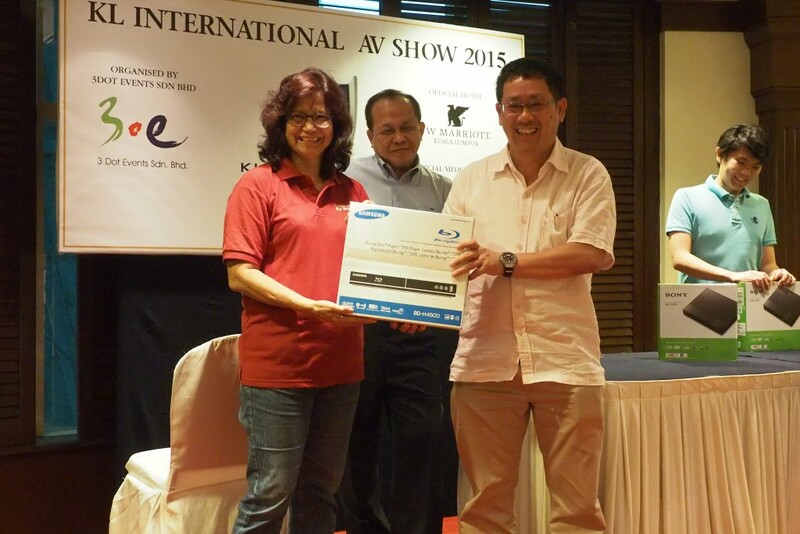 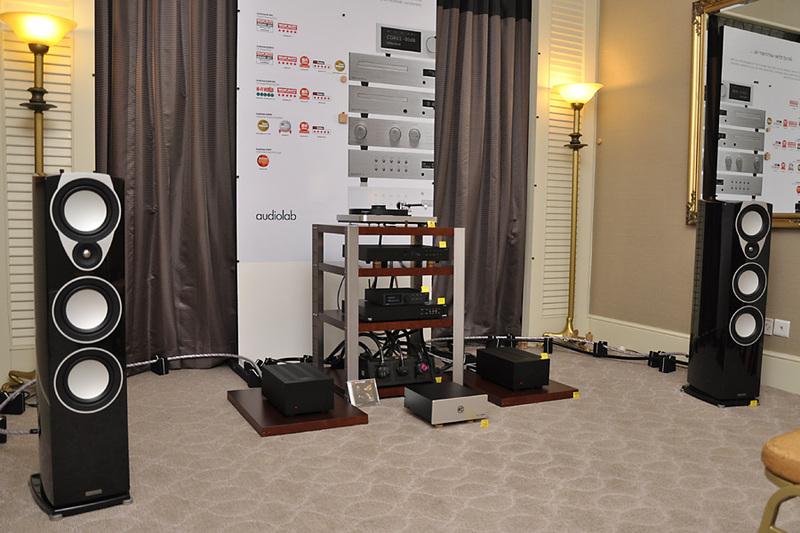 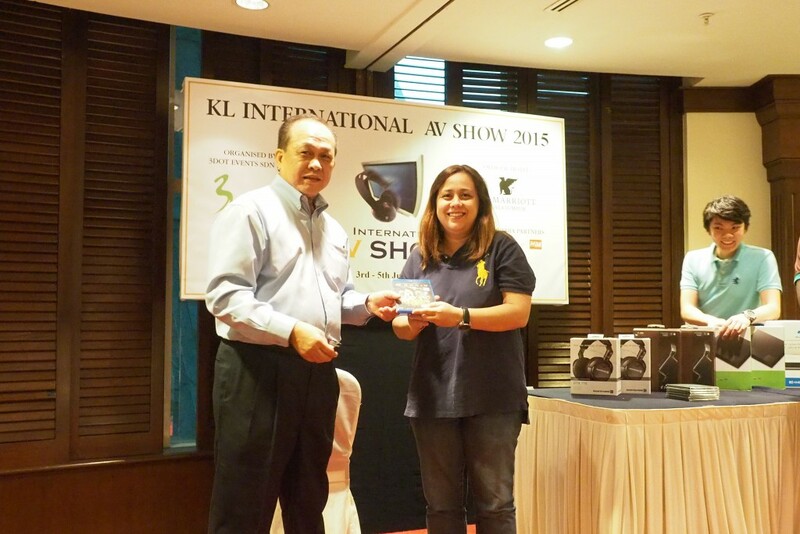 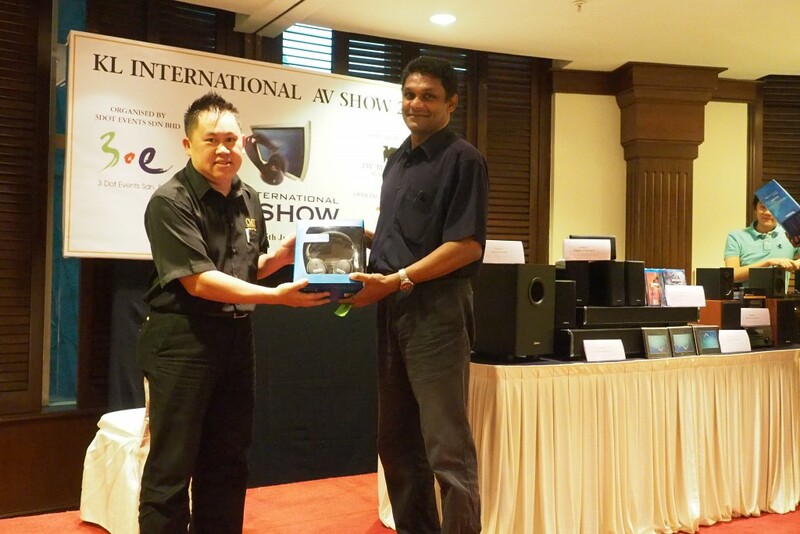 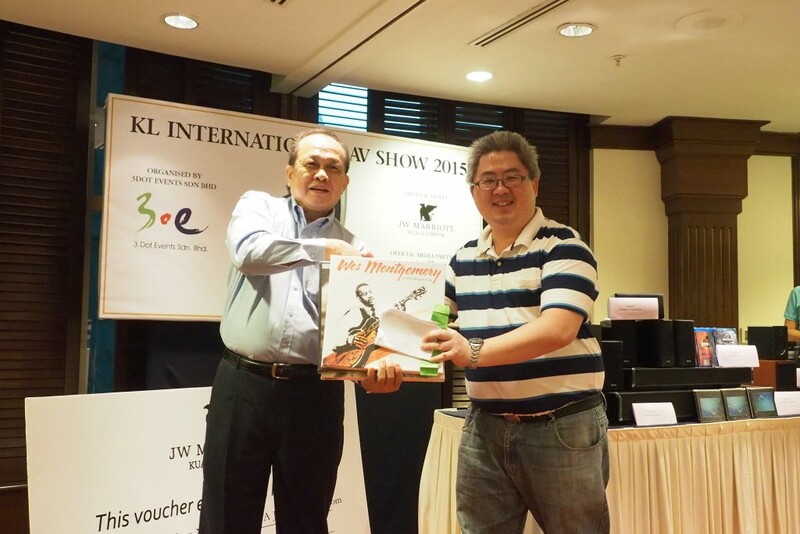 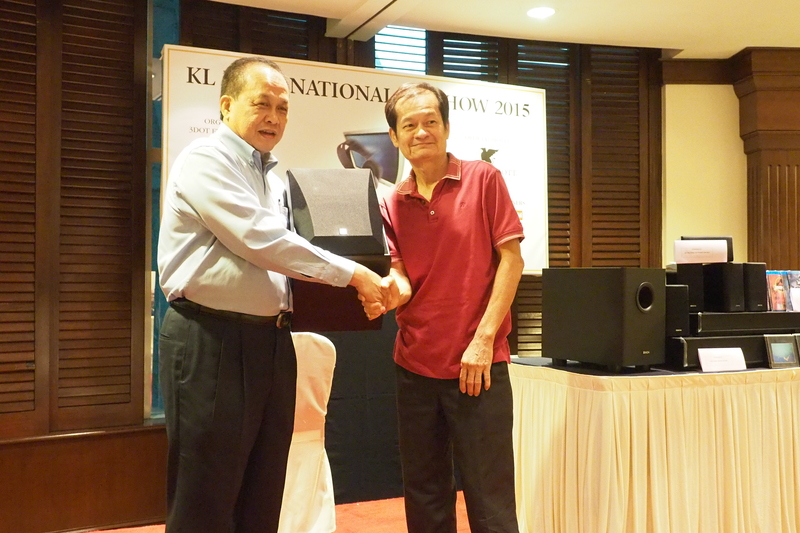 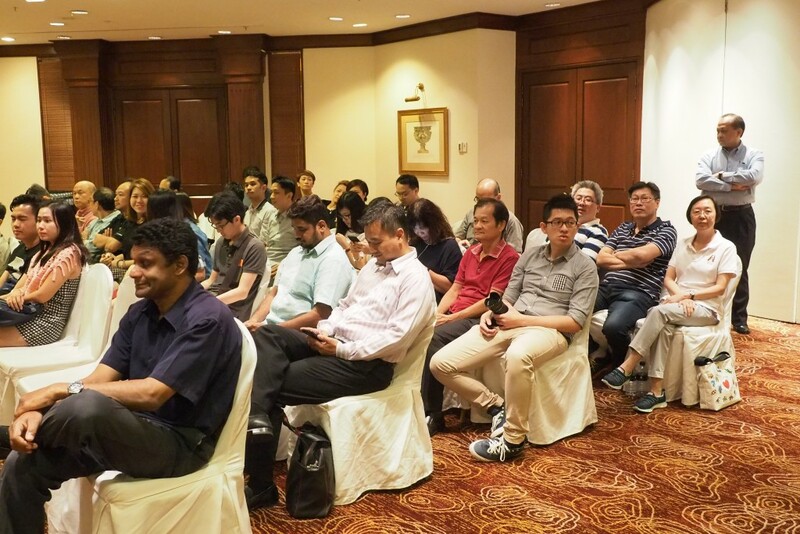 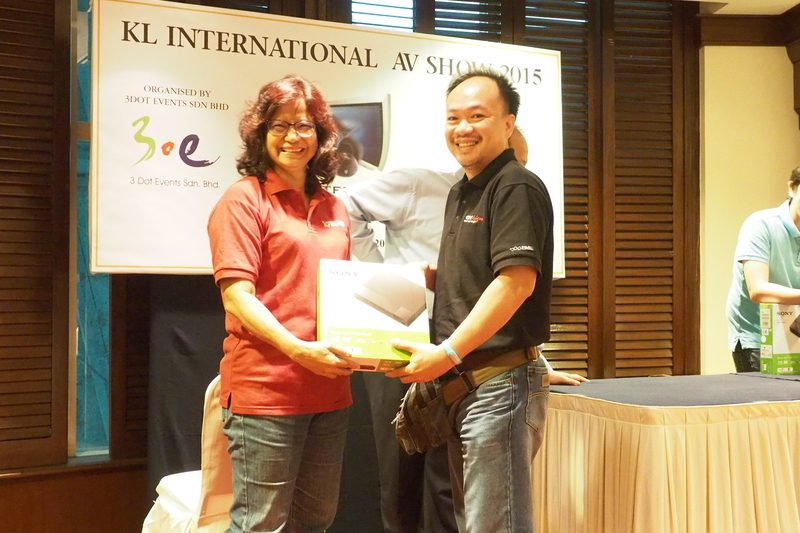 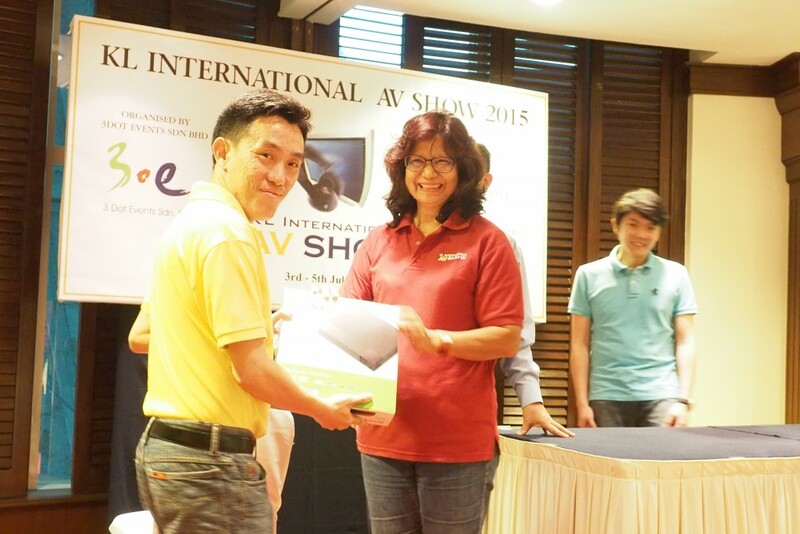 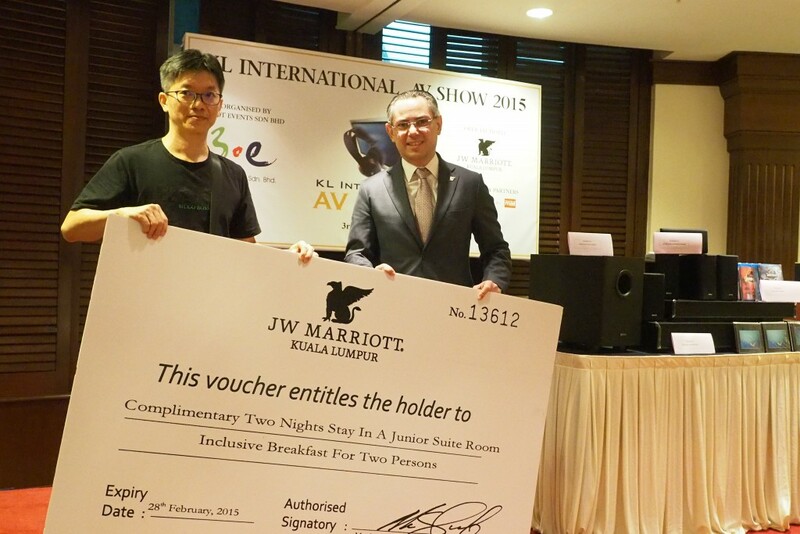 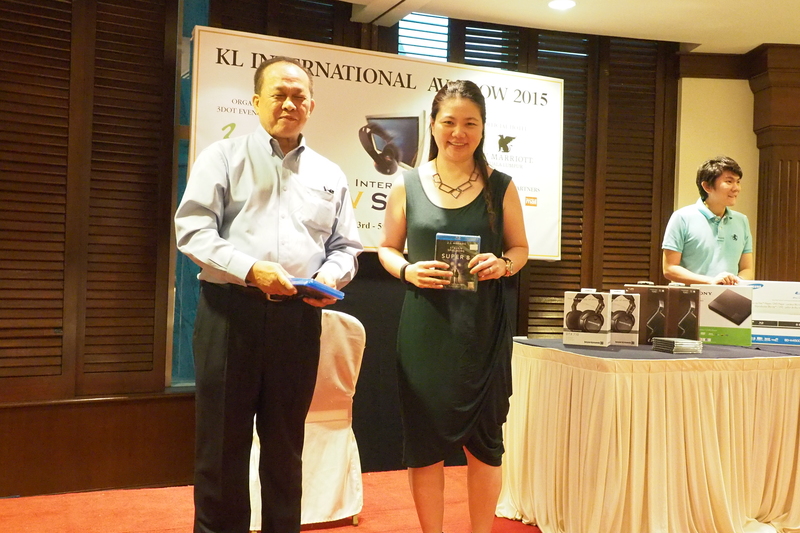 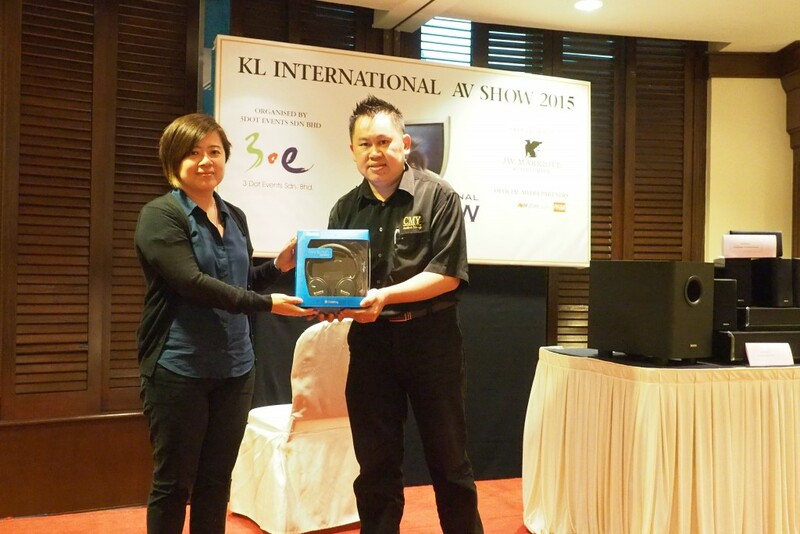 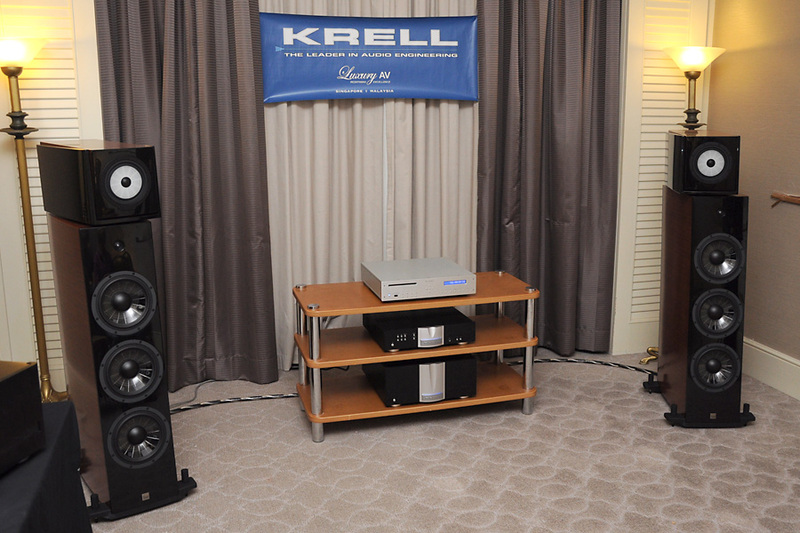 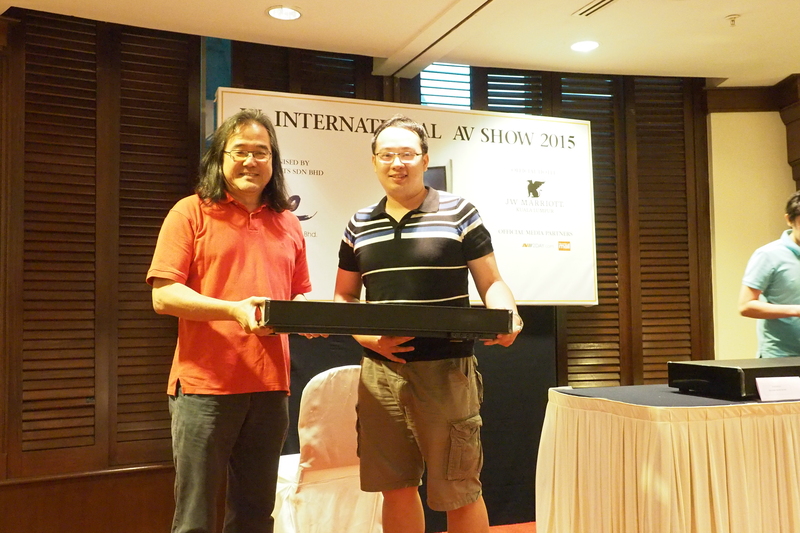 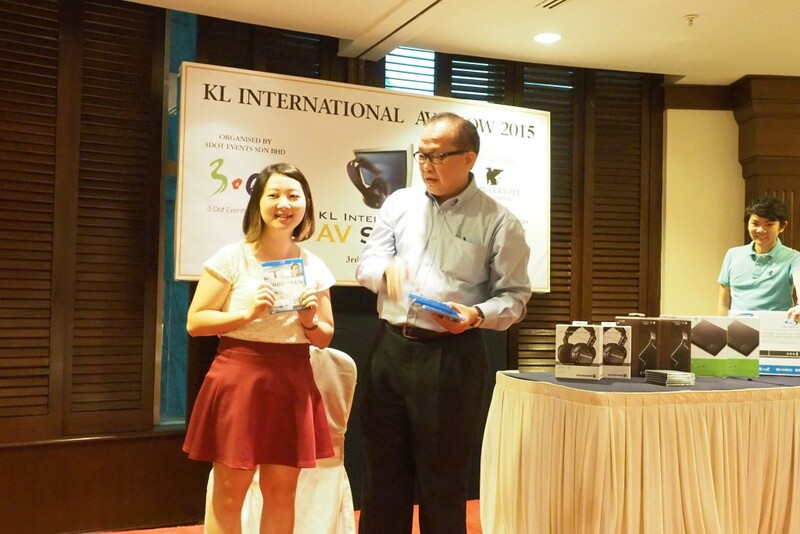 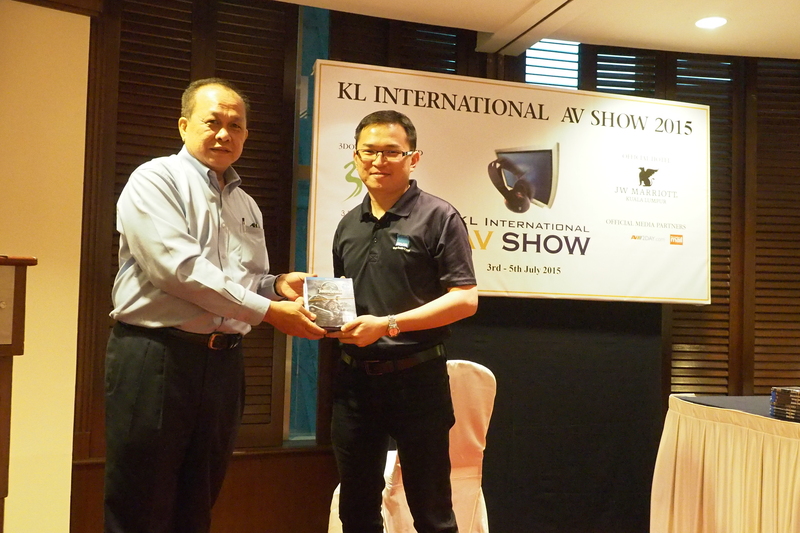 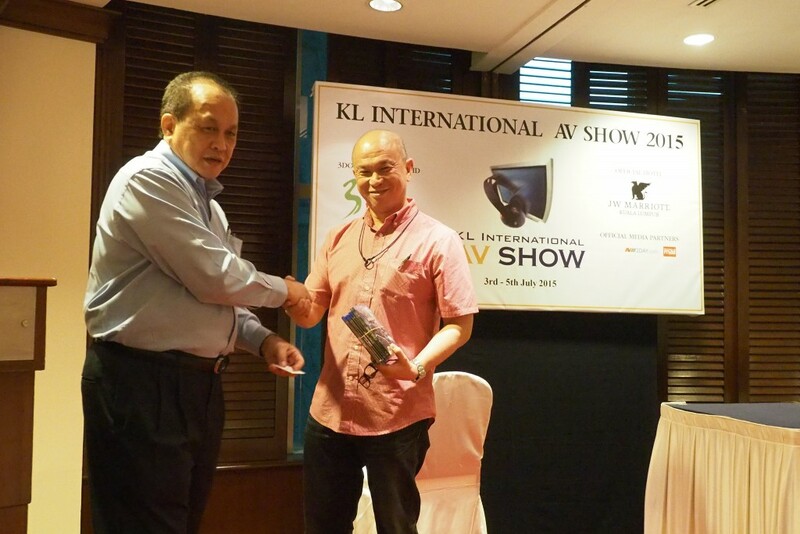 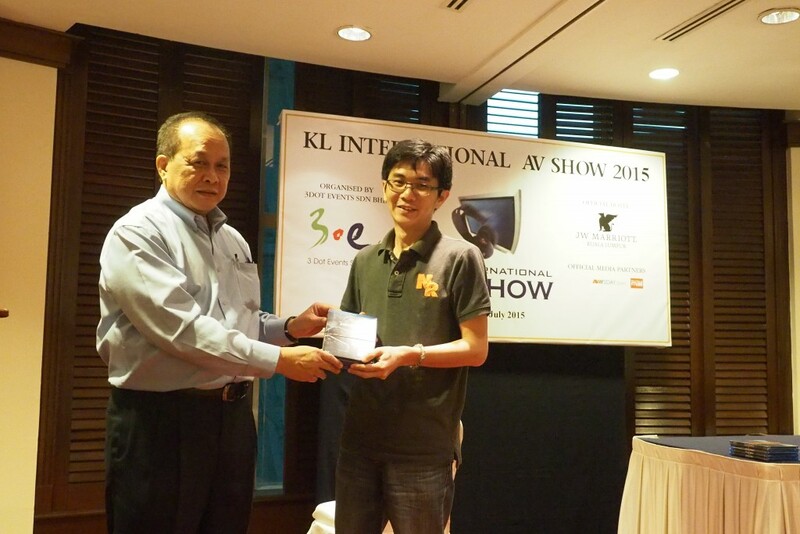 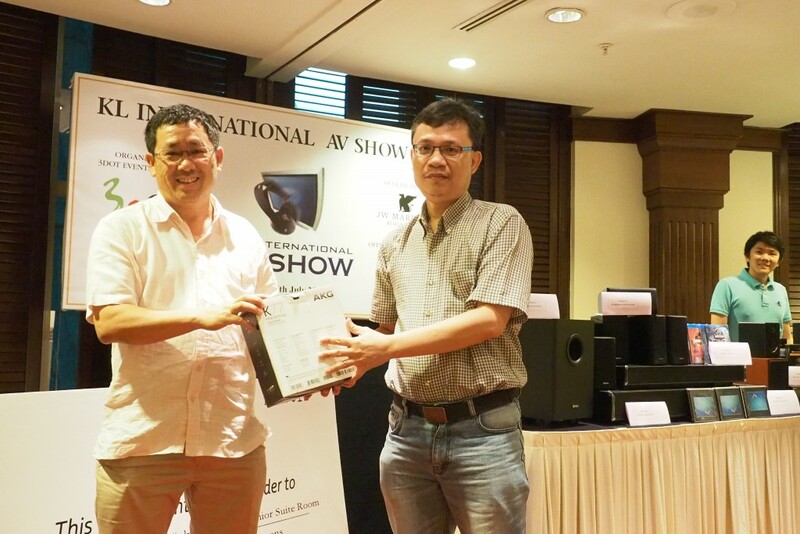 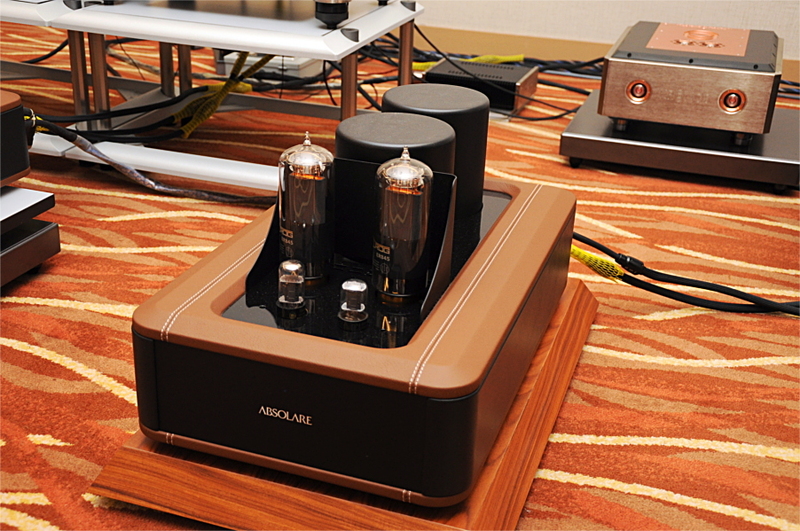 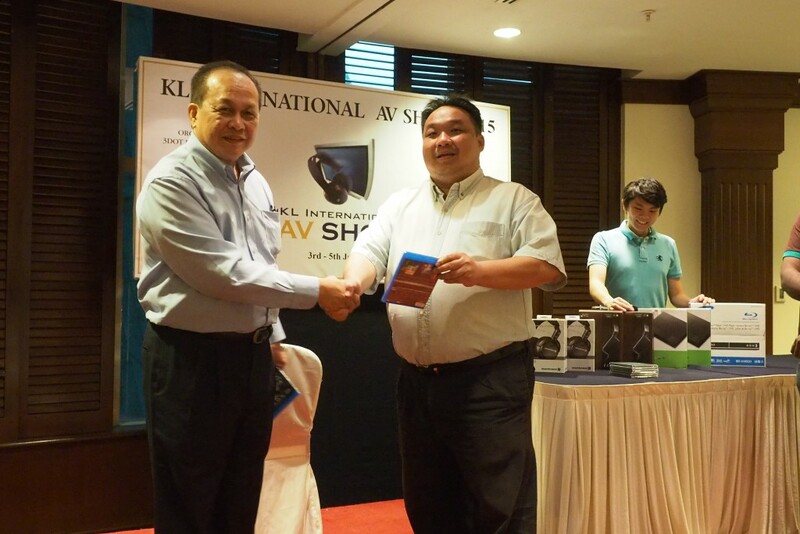 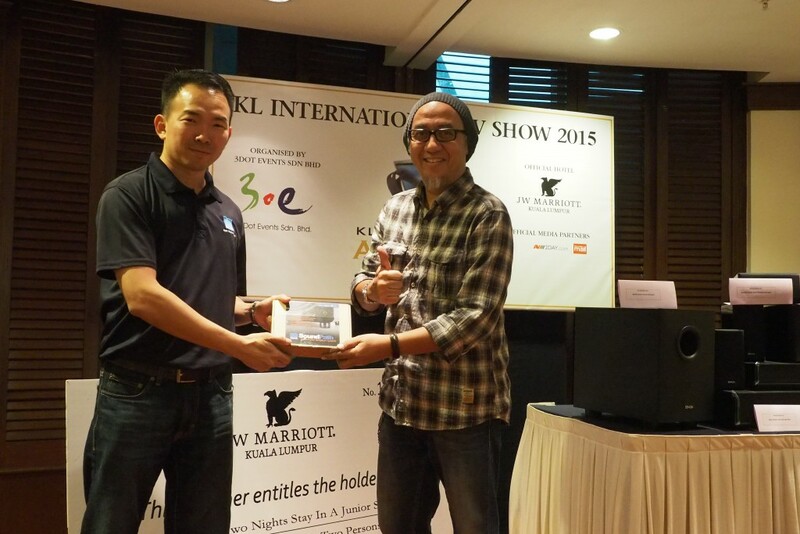 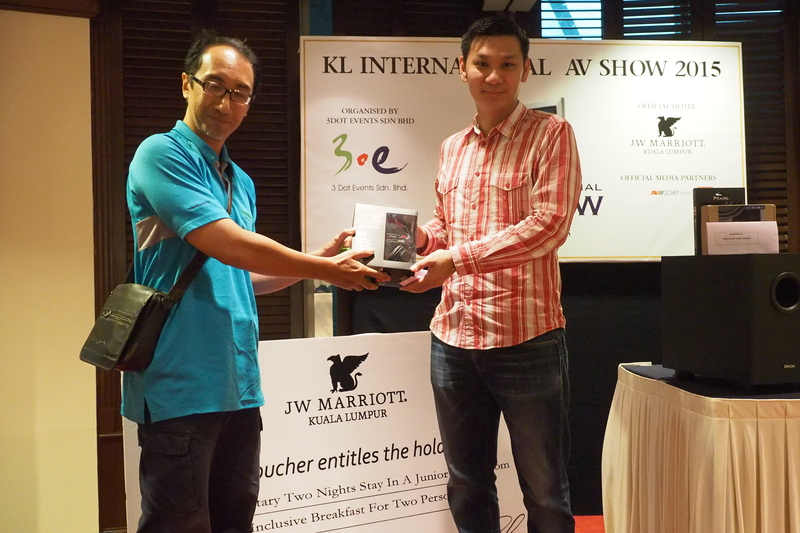 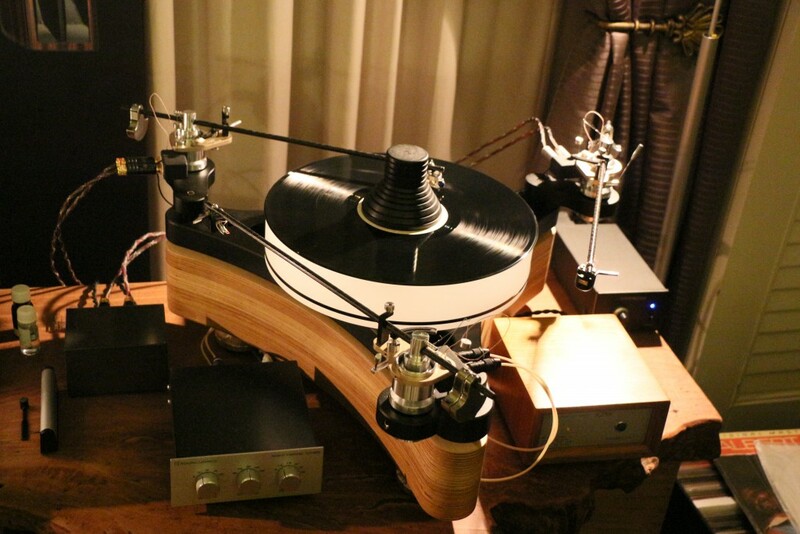 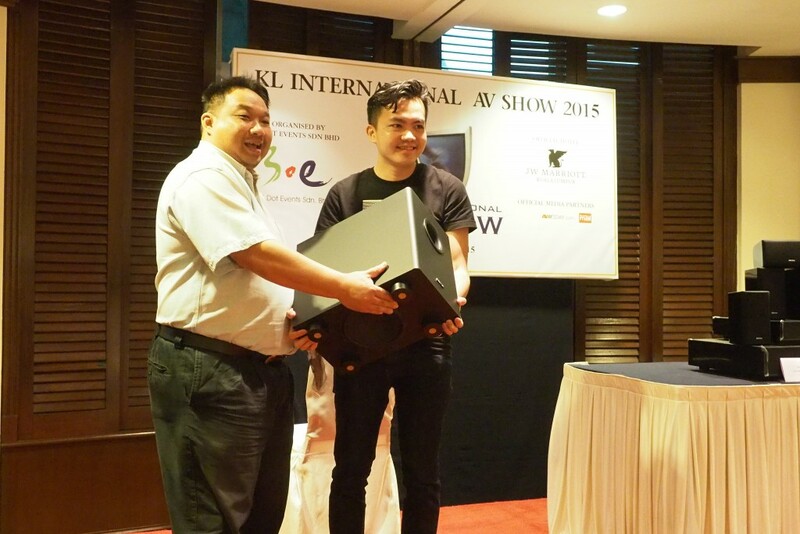 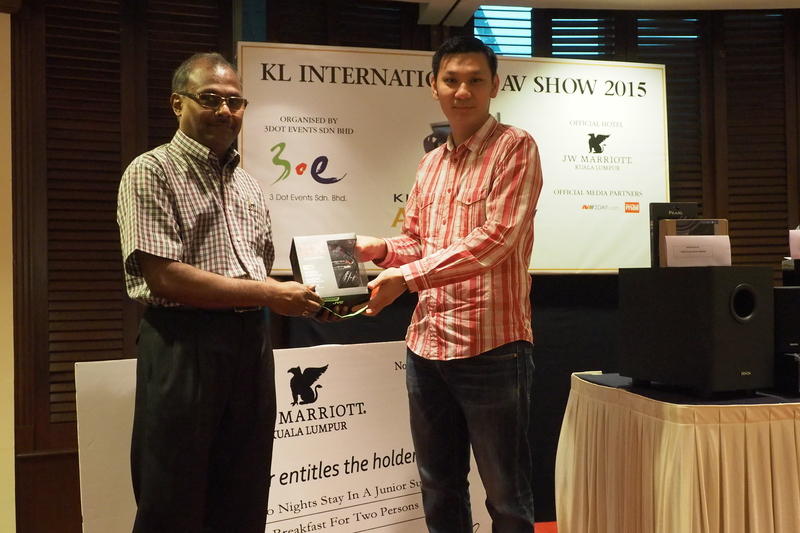 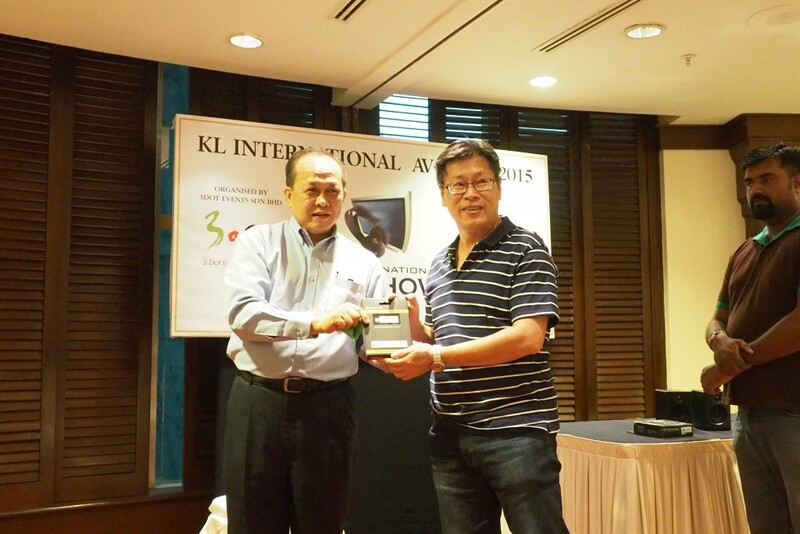 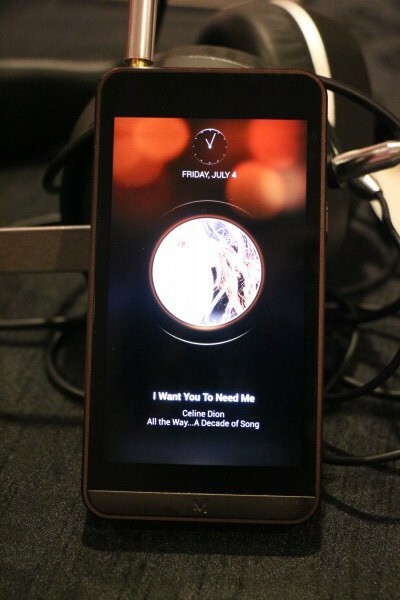 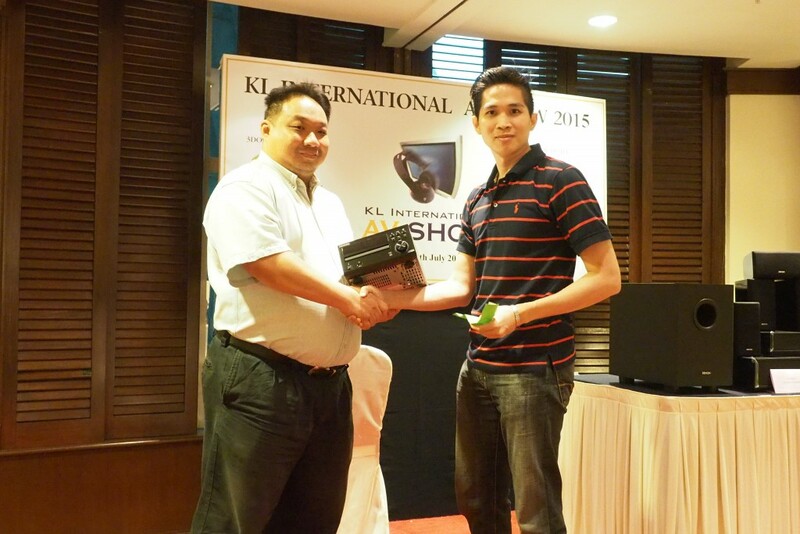 Lucky draw winners of the KL International AV Show 2015 received fabulous prizes in the form of speakers, headphones, LPs, soundbars and others at an event hosted by 3dotevents at J.W. 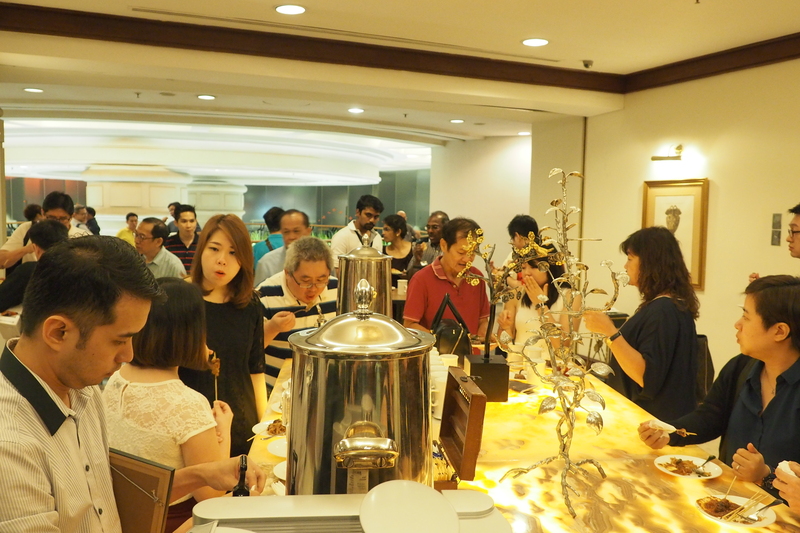 Marriott Hotel in Bukit Bintang, Kuala Lumpur on Saturday afternoon. 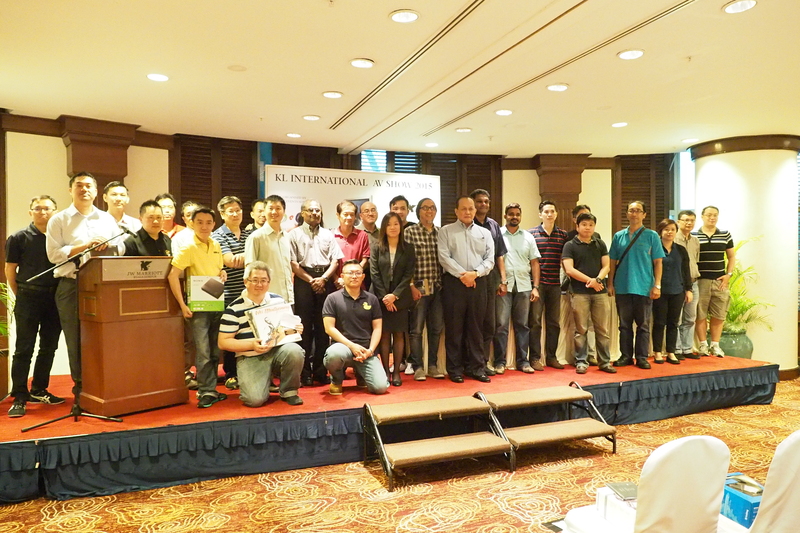 All the winners and sponsors on stage for a group photo. The winners and sponsors tucking into a delicious tea spread after the event.